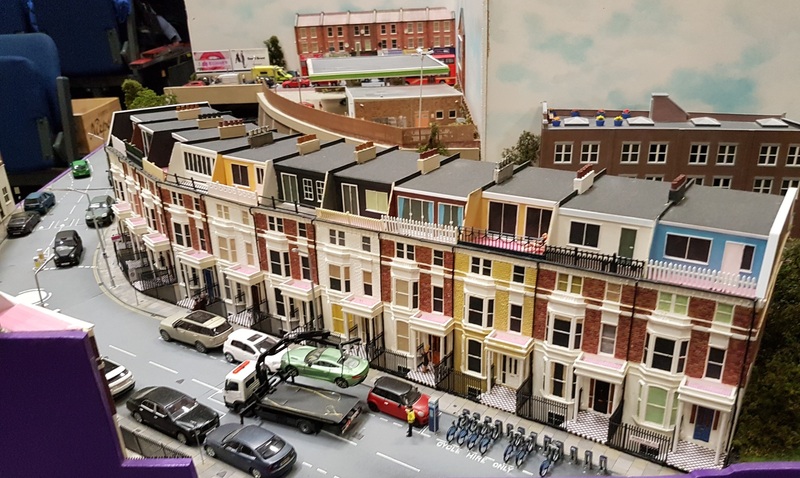 One of the highlights of the show was a chance to see Loftus Road in the flesh. 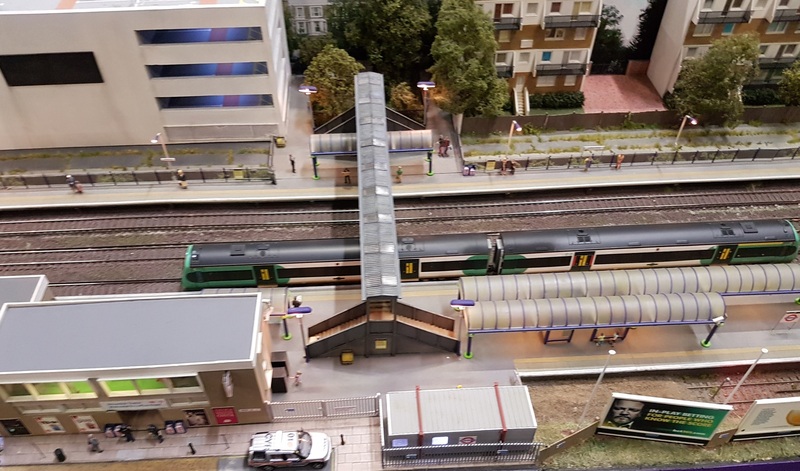 This ‘OO’ layout is based on the West London Line around Kensington from the 1990’s to today. 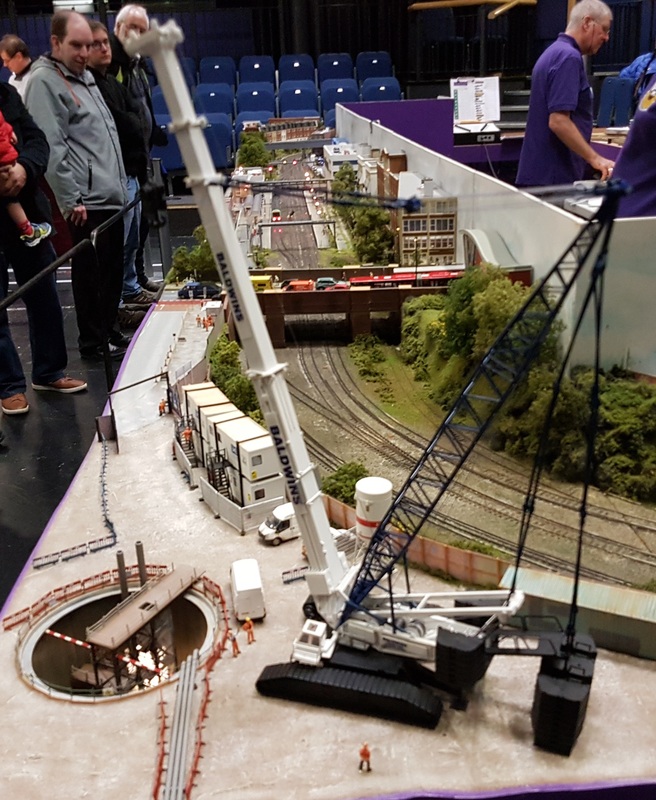 The West London Line carried, and carries, a wide variety of prototypes keeping the layout operation interesting, and between trains there are plenty of scenic cameos to examine. 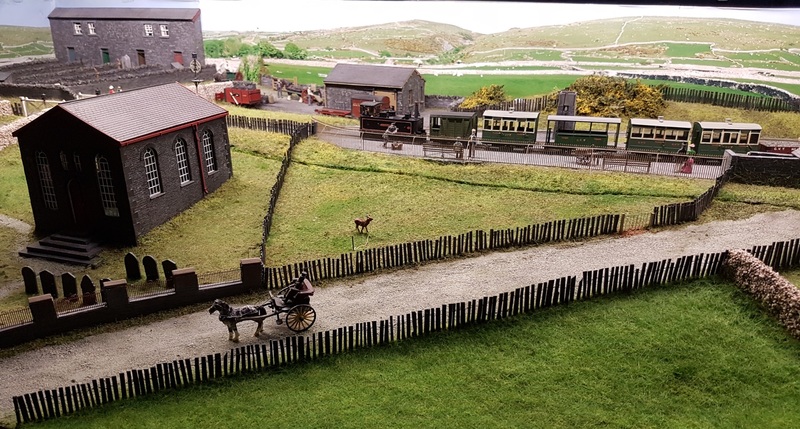 In contrast, Garreg Wen is a small ‘oo9’ layout set somewhere in Snowdonia. 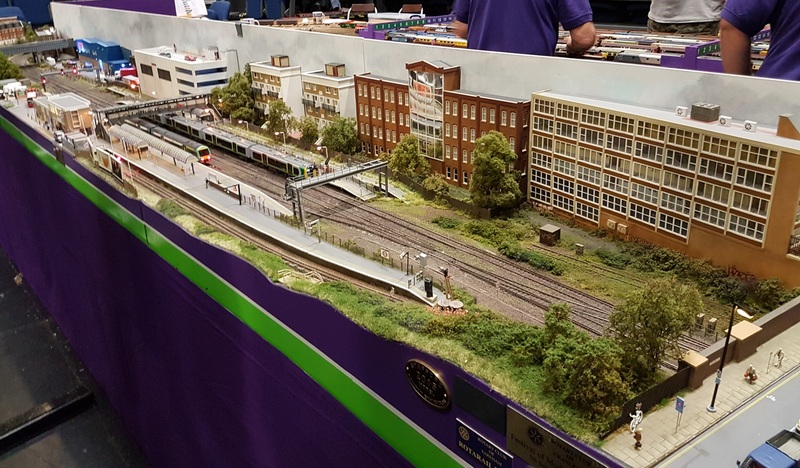 Most attractive modelling, again locating the layout in a real place and time. Always good to see Happisburgh Goods in ‘O’, the remnant of the larger Great Eastern terminus that did the rounds in the 1990’s. The name, in Broad Norfolk is, of course, pronounced Haysbro’. 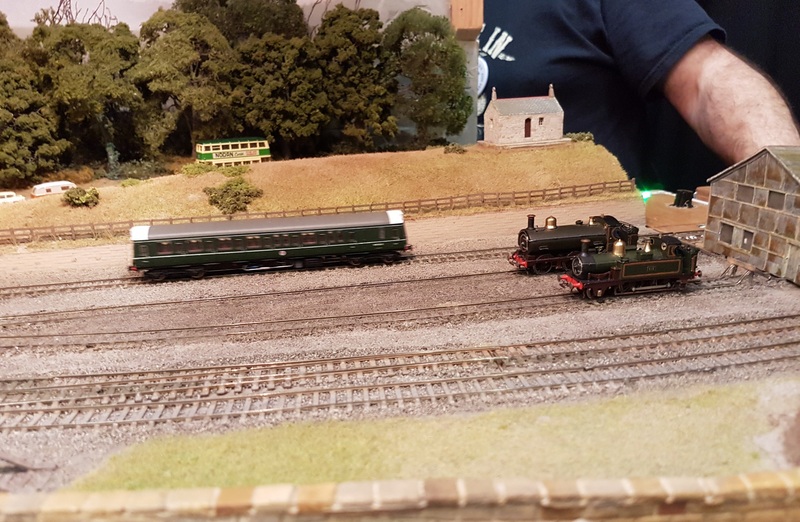 The other layout I wanted to see at the show was St Ruth, a 2mm fine scale layout based o Penzance. 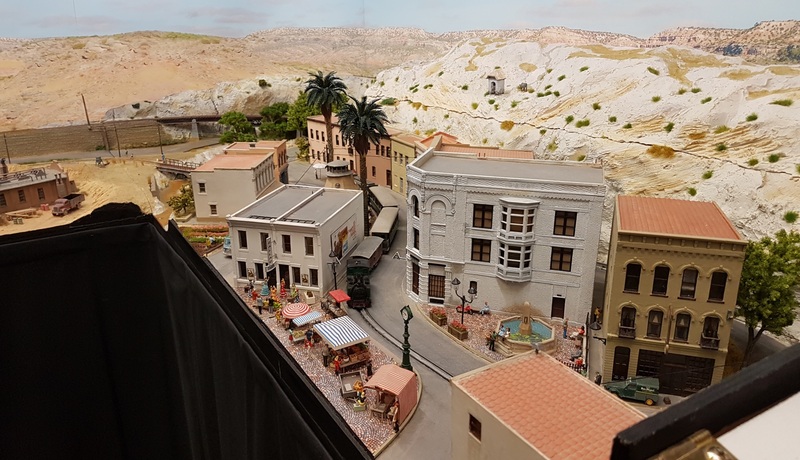 The fact that it is 2mm is not the main attraction (although the fine trackwork helps), as the railway is framed by some excellent scenic work. Operation uses the full 24-hour timetable. I went back for a second look, but found that there was a real crush and I couldn’t get near the layout. It is that good! More old friends from the ESNG show in the form of City Basin Goods and Atlantic Road. 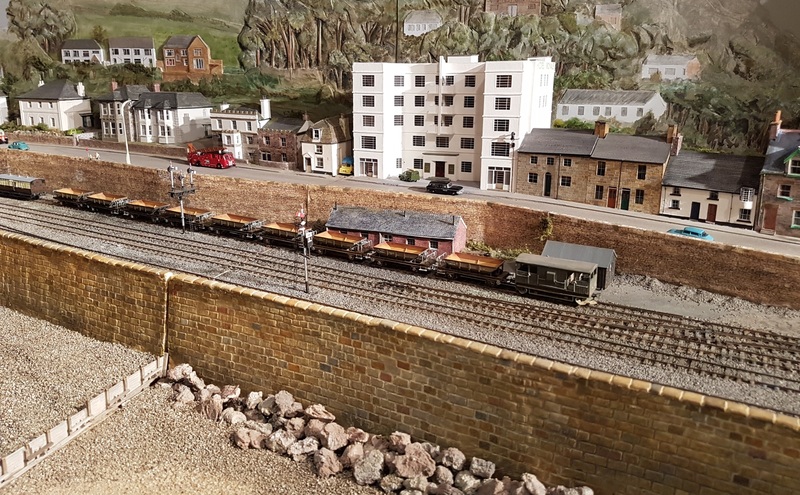 And last (except one layout to discuss next time) is Canute Road Quay, a minimum space ‘OO’ shunting layout somewhere in Southampton Docks, and hosting some large locomotives such as the Adams B4 and USA tanks. 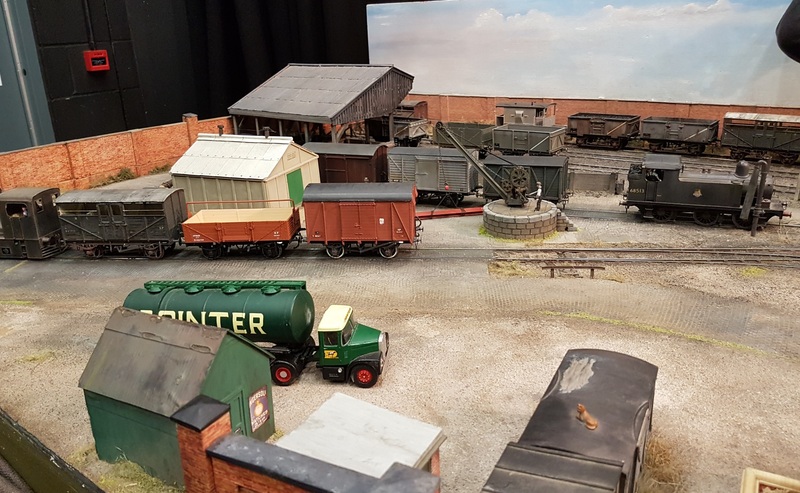 It says a lot for the quality of the show that there were only a couple of layouts not featured here – and one I missed out, a fascinating narrow gauge quarry line with a working grab that loaded the wagons with sand.